I woke up this morning to skin that is the clearest it has ever been, which is making me super happy! Honestly I hit 13 and suddenly I was fighting terrible skin along with terrible moods (really sorry mum and dad!). Although I would like to point out that my skin wasn't actually really really bad, I saw some kids with terrible acne and I felt so sorry for them as honestly my spots were killing my self confidence so I can't imagine what they were going through. It was however bad enough for me to absolutely hate it, left me with some scars albeit fading ones and a guy did go "yeah I noticed you seemed to get a lot after year 7".. Anyway as you can imagine I tried so many different products, some broke me out horrendously (I'm looking at you 'Simple') and others seemed to be okay but not actually helping in the long run. Nivea was a brand I stuck with for a long time, and probably one I would have gone back to but at the moment my current routine is a blessing and bloody cheap. So my first product is this one, it's a really basic facial wash that my Mum bought from Wilkinsons for 80p, she said it was so cheap you might as well try it. She was right, it was cheap but omg surely its going to break me out horrendously because its only 80p. Well nope! In fact once I used up the first bottle I had to buy more, it's amazing. Hasn't irritated my skin or induced a break out. It's now my go to morning and night facial wash.
After using that in the morning I will then either moisturise with a bit of olive oil if I plan on going out in the sun (gasp, the horror! 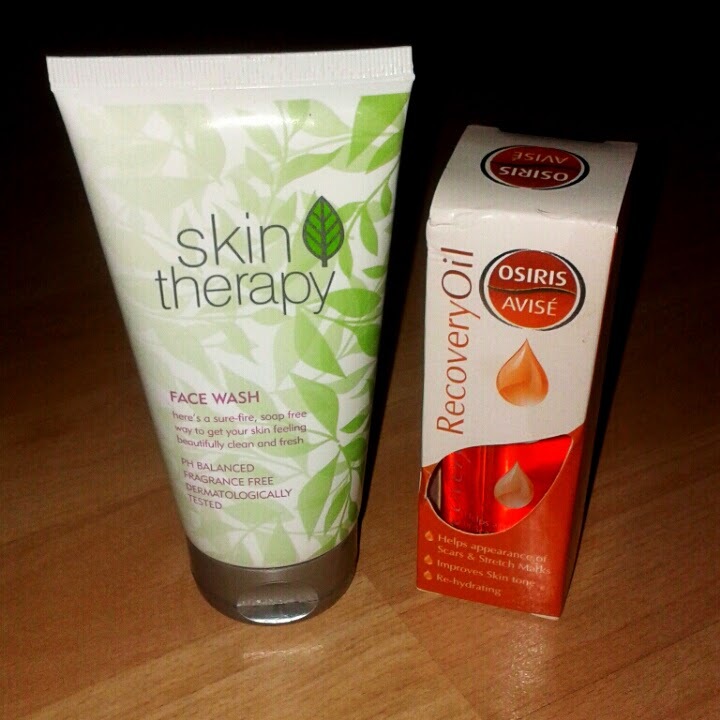 I will get back to this in another blog post I swear) or I use recovery oil which I found when googling for bio-oil. I don't know what the real differences are between the two, except this cost me 99p for 100ml on Amazon. I made the mistake (or maybe not??) of buying five of them as I figured that won't last long. It does! Here's the ingredients listed for those interested; Paraffinum Liduidum, Octylydodecenol, Squalane, Isopropyl Myristate, Prunus Dulcis (Sweet Almond Oil), Rosmarinus Officinalis (Rosemary Leaf Oil), Lavandula Angustifolia (Lavender Oil), Glycine Soja (Soybean Oil), Citrus Medica Limonum (Lemon Peel Oil), Bisabolol, Tocopheryl Acetate (Vitamin E), Retinol (Vitamin A), Parfum, CI26100. 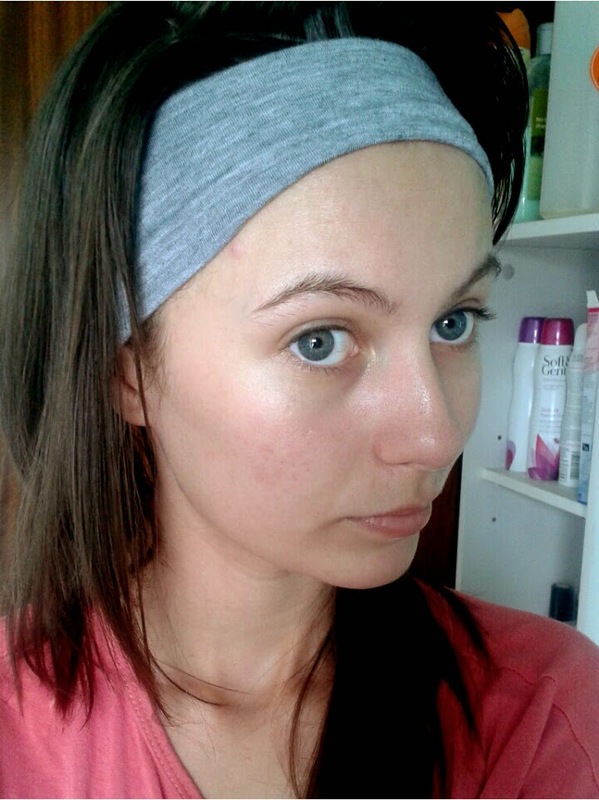 I've added a (horrendous) picture of me from today, with out any make up. Plus my eyebrows and hair both need sorting eek! However the main thing is my skin, look! I still have the remains of spots, the patchy redness but it's fading. I just hope this continues to work.